The Yelloh! 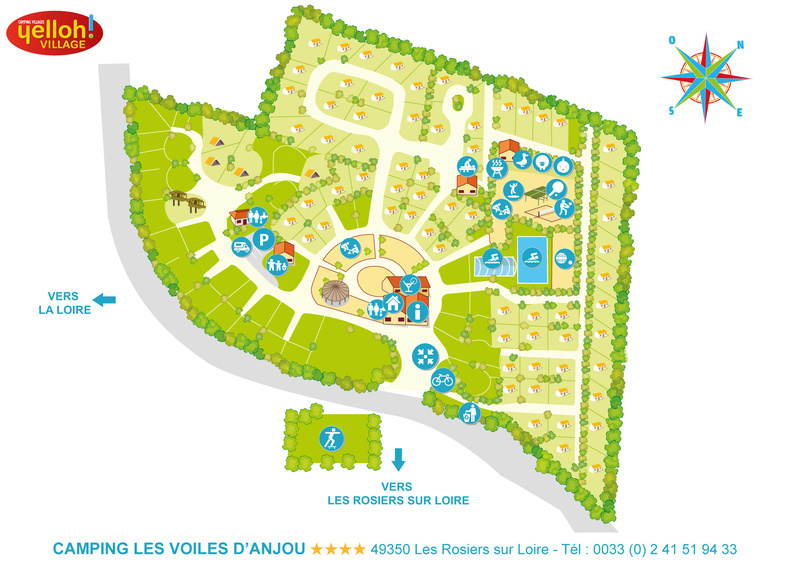 Village les Voiles d’Anjou has thought of everybody! For small children and for older ones, two entertainment clubs are available in July and August. Children will be able to explore the Angers region in a whole new way, take part in sports activities, and find out about their handicraft and artistic talents! Children will love it! They will also be able to make new friends here during their stay. And during this time their parents will be able to enjoy some time together on holiday as a couple! Children love their camping holidays! In high season, a wide range of activities and events is on offer. The campsite does everything to ensure that your children have a fantastic holiday. Discover all the activities on offer in July and August. In this naturally family-friendly campsite, everything is in place to make sure that children will enjoy an exceptional holiday. So they will be able to use three large trampolines, an inflatable structure and mini golf. They'll have a great time in the games area which is especially for them, with parental supervision. With swings, a little house, waterslides and more, there will even be a special area for babies, with a freely available bath and baby-changing table!